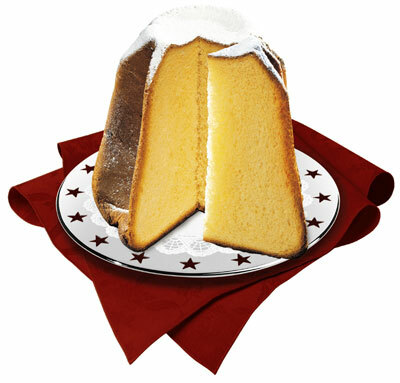 The Pandoro is a typical Christmas yeast bread, which was created in Verona. Its provenance can be found either in the Viennese pastry, in the French brioche or in a dessert of the Venice’s aristocracy (called “pane de oro”, golden bread). The Pandoro is actually an evolution of a Veronese sweet bread, called Nadalin, and was created in 1800 by Domenico Melegatti. Its typical shape is that of a frustum with an 8-pointed star section ideated by the artist Angelo dall’Oca Bianca. It is usually served covered by a Vanilla-scented icing sugar, and sometimes it is filled with gelato or chantilly cream ad it is a MUST on our Italian Christmas tables! We recommend you to try it! Discover the Italian traditional cakes and sweets with our Italian Cooking Courses!